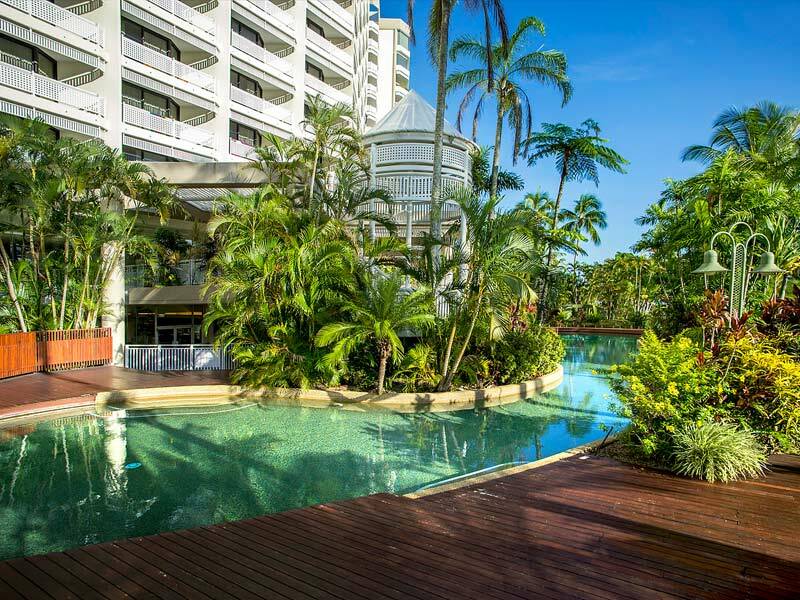 Breathtaking Coral Sea views, lush tropical vegetation and direct access to the Cairns Esplanade and boardwalk strip—Rydges Esplanade Cairns Resort offers the perfect setting for your next North Queensland stay! 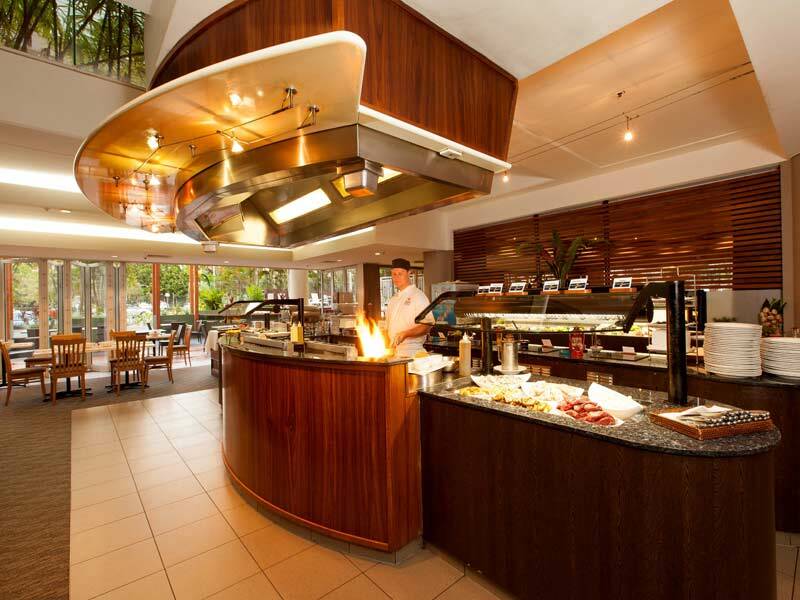 Rydges Esplanade Cairns Resort is grand, luxurious and ideal for all kinds of travellers! 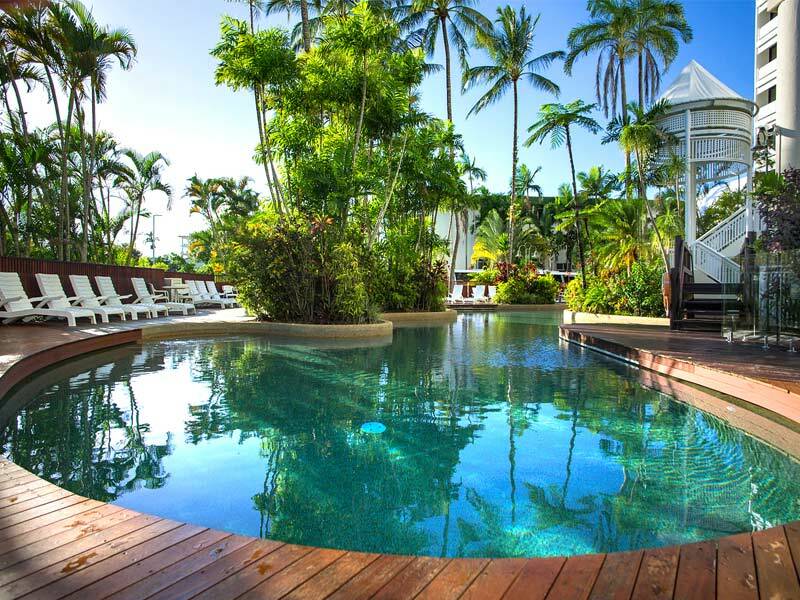 Set amongst beautifully landscaped gardens and facing the Coral Sea, this resort offers a true Tropical North Queensland experience. Wake up to stunning views of the water, Cairns city or the impressive tropical mountains behind. All guestrooms are bright and contemporary. They boast their own private balconies for guests who wish to bask in the sunshine and breezes and there are even specially designed family rooms, with separate high-tech kids’ zones, so all travellers can have fun and unwind. Access free Wi-Fi, keep cool with air-conditioning and ceilings fans and sink into plush bedding for the perfect night’s sleep each night! The facilities at Rydges Esplanade Cairns Resort are nothing short of exceptional. There are 3 pools, a dedicated kids’ “wet play” area, 2 tennis courts, a spa, sauna and a fully equipped gym. In-room massages are available, there’s Wi-Fi, multilingual staff speaking over 7 languages plus a tour desk for those guests wanting to arrange tours to the Great Barrier Reef, the Daintree Rainforest and everything in between! When hunger strikes, guests can treat their tastebuds to the exceptional flavours on offer at Coral Hedge Brasserie Restaurant & Bar. 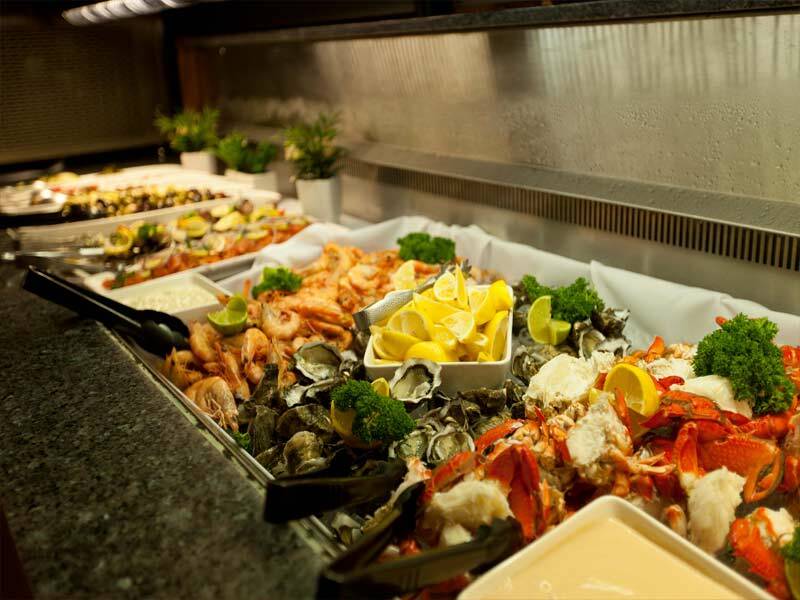 Serving a full buffet breakfast, all-day dining and the famous Fire & Ice seafood buffet dinner, every palate is catered for. 24-hour room service is also available at Rydges Esplanade Cairns Resort! 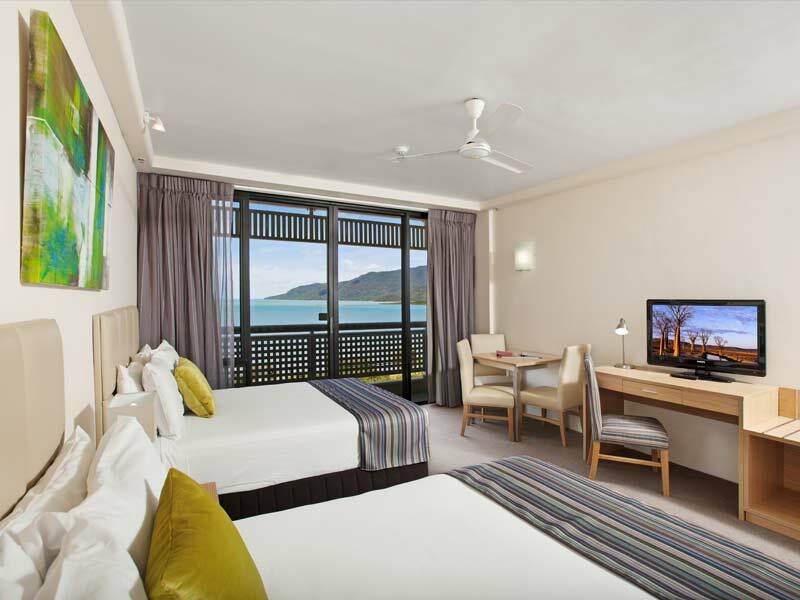 Why go to Rydges Esplanade Resort Cairns? 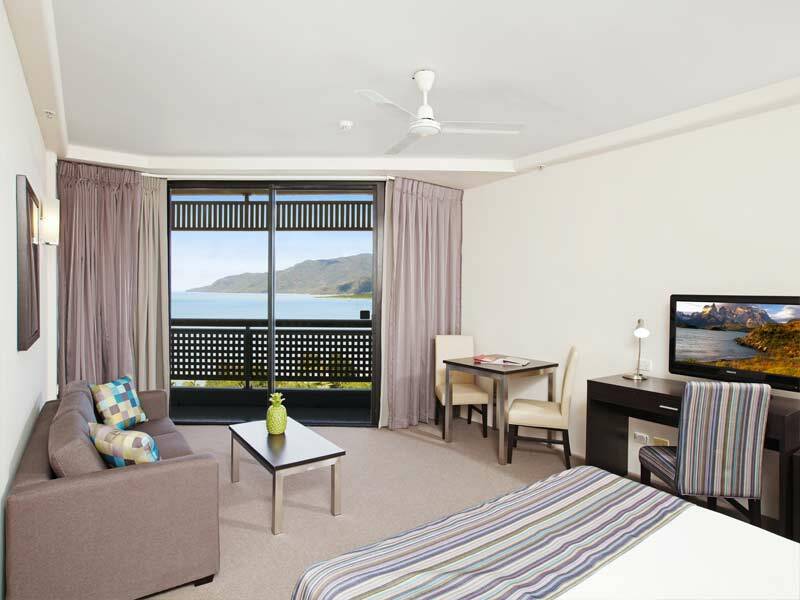 With sweeping sea views, luxurious comfort and facilities to suit travellers of all ages, it’s hard to think of a reason not to go to Rydges Esplanade Cairns Resort! Add to that the unbeatable convenience that is the resort’s proximity to all main Cairns attractions and you’ve definitely found a winner! Rydges Esplanade Cairns Resort is located on the Cairns Esplanade boardwalk strip. 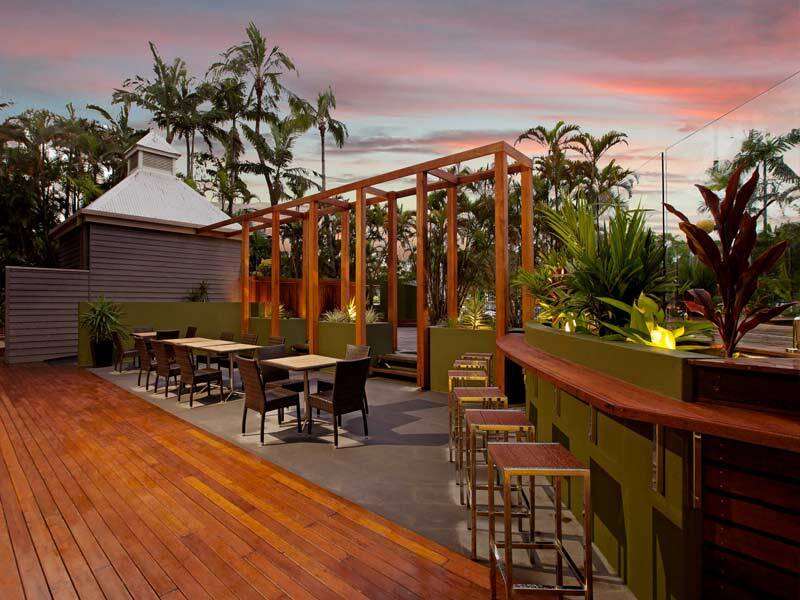 Guests can enjoy an easy, picturesque stroll past Muddy’s Playground (just 5-minutes away) to reach all the shops, restaurants, cafés and bars in the Cairns city centre. Wander the night markets to shop for unique North Queensland souvenirs or enjoy the incredible range of fresh tropical produce at Rusty’s Market by day—a true icon in Cairns, just 1.5km away! The Great Barrier Reef terminal is just over 2km away and there are countless other tours and experiences to be had from the Rydges Esplanade Cairns Resort base! *Tennis courts currently closed for resurfacing. Extending over 32-square-metres the Standard Rooms are extremely spacious! They feature a private balcony that overlooks the gardens or the city of Cairns, as well as a range of interior luxuries. Keep cool with the air conditioning and ceiling fans. Choose your bedding configuration depending on your requirements with your choice of a queen bed and double fold out sofa OR two double sized beds. Enjoy a hot cuppa from the in-room tea and coffee facilities. Sink your teeth into something scrumptious from the 24-hour room service menu. Stay connected with free Wi-Fi access and more! 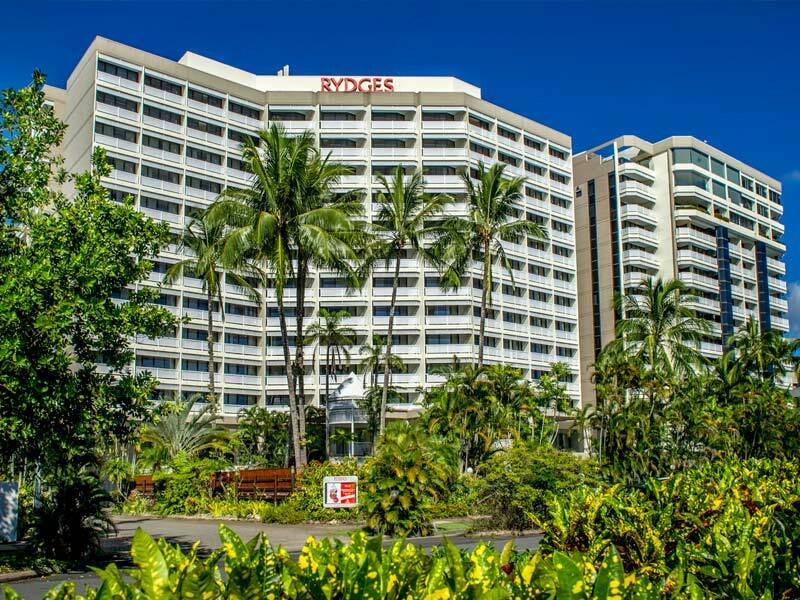 Rydges Esplanade Cairns Resort is located on the Cairns Esplanade, overlooking the Coral Sea and the Cairns boardwalk and parklands. The Cairns city centre is just 1.5km way and the popular Cairns Esplanade Lagoon is an easy 15-minute stroll (just over 1km along the boardwalk). Cairns Base Hospital is 1.3km north of the resort, Marina Point is just under 2km away and the Great Barrier Reef terminal is just over 2km, for all those wishing to snorkel and dive into the incredible World Wonder! Getting to the resort from the airport takes just under 10-minutes by car (a 5km journey). There are plenty of things to do around Rydges Esplanade Cairns Resort, no matter who you’re travelling with or why you’re going! If you’re wanting to see the key attractions of the Tropical North, this resort is a great base—the Great Barrier Reef Terminal and marina are both around 2km away and tours can be arranged at the resort’s tour desk. For those wanting to ride the iconic Skyrail Rainforest Cableway, the terminal is less than 15-minutes away (12.3km). Mossman Gorge, in the Daintree Rainforest, is just over 1-hour away—the drive follows the scenic coastal road through Palm Cove and Port Douglas. For those travelling with kids, Muddy’s Playground is on the Esplanade, 5-minutes up the road, and the Cairns Esplanade Lagoon is an easy 15-minute stroll. There are shops, restaurants, cafés and bars surrounding the resort. Be sure to check out the Night Markets while in the city centre, open daily from 4:30pm to 11pm, and Rusty’s Markets, open Friday, Saturday and Sunday, from 5am to 6pm (close earlier on Sundays). We stayed on the top floor with gorgeous sea views! The staff were friendly and helpful and the rooms were clean and of good size. It’s not too far from the city (walking distance) and it is kid friendly as well! We would definitely recommend staying here and we will be back!